There are now over 66.2 million expats worldwide and this is expected to reach 87.5 million by the year 2021. Research has found that expats are 2.5 times more likely to experience anxiety and/or depression than domestic workers. So why is this? 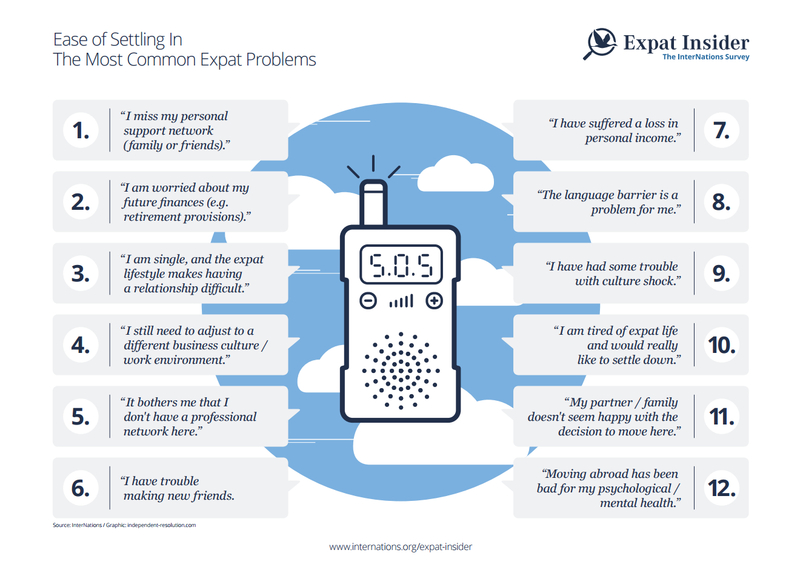 What Are the Top Expat Stressors? Expats work an average of 13.4 more hours than people doing similar jobs at home. 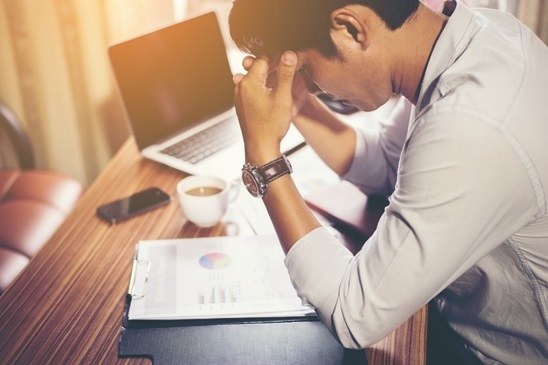 Try to avoid overworking and prevent burn-out by switching off the “24-7 business mentality.” Establish a clear work-life balance by not bringing your work phone home and by not checking your email on weekends. Instead, use your free time to socialise and to participate in healthy activities. Working abroad can be isolating, so be sure to dedicate time to making friends. Don’t shy away work events and network groups. Try out apps such as MeetUp to connect with new people. Make sure to schedule in time for chatting with your loved ones who still live in your home country. Take the lead on communicating with home and plan regular one-to-one interactions through Skype, social media or on the phone. In addition to all of the above, don’t forget to look after your mental health. You can do this by limiting alcohol consumption, getting 8 hours sleep every night and by exercising and eating healthily. What’s more, learn how to recognise the signs of stress and work hard on developing stress management skills. Just 6% of expats are concerned about mental health before relocating. However, taking some simple preparatory steps before you set off can make a big difference to your mental health down the line. Research can really help to ease the relocation process. While reading up on your new home, don’t forget to look into ways of making friends, the work & social culture, methods of contacting home and potential stress outlets. It’s also important to check in with yourself and know your limits. Keep a journal to help record and recognise your stressors. Get educated by familiarising yourself with the warning signs of stress, anxiety and depression. The number of mental health workers per 100,000 persons ranges from less than 1 in low-income countries to over 50 in high-income countries. It can be even more difficult to find a counsellor that speaks your language. One excellent resource is the International Therapists Directory which contains contact details for English-speaking therapists, counsellors, psychologists, and psychiatrists in more than 50 different countries. Alternatively, you could ask for a referral from your embassy, HR Department or even other expatriates (particularly medical professionals). If a face-to-face service is not an option, you may want to consider e-counselling. These are online services that allow you to connect with specialists in your home country via video-chat. Just be sure to check that the counsellor is licensed and look into the services’ privacy policies. To learn more about how to look after your mental health during a move abroad, take a look at our video below.